1> Go to start menu, select run then type regedit and press enter. 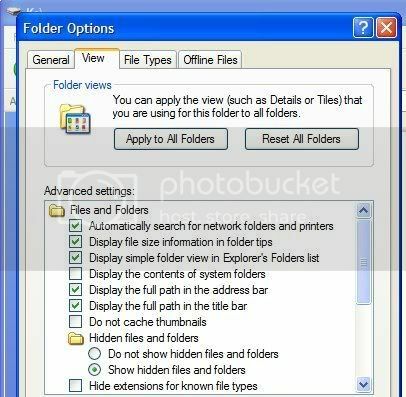 3> Change the Setting of Hidden to 1 in order to show hidden files and setting it to 0 does not show hidden files. 3> Now right click on,and delete the value “CheckedValue” in the right hand window. 4> Create a new “DWORD Value” called exactly CheckedValue in the right hand window. 5> Double click on CheckedValue and then type in the box ‘Edit DWORD Value’ ,set the ‘Value data:’ to 1.